The sanctuary forms an integral part of the Nilgiri Bio Sphere Reserve. Animals that can be seen in this sanctuary include Tigers (though there number is slightly less), Elephant, Jungle Cats, Panthers, Civet Cat, Monkeys, Wild dogs, Deers, Spotted Bears, Bisons, Gaurs, Cheetah, Wild Bears, Peacock, Owls, Jungle fowls, Woodpeckers, Babblers, Cuckoos. Off late,There are also quite a few wild birds in the sanctuary. Peacocks and Peafowl tend to be very common in the area. 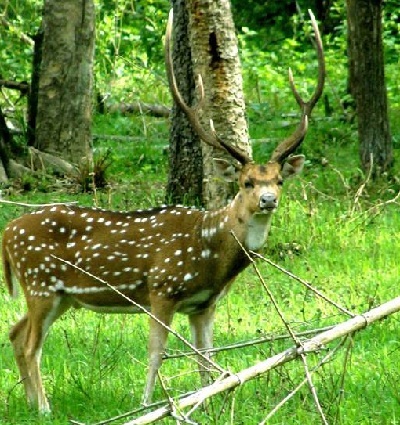 The Wayanad Wildlife Sanctuary is located at a distance of 18 km east of Sultan Bathery in the rain forest of Muthunga.and40km east of Kalpetta Trekking in the sanctuary is allowed only during morning slot and hiring a guide is mandatory for the three hour route.The sanctuary is part of the Nilgiri Biosphere Reserve. The Western Ghats, Nilgiri Sub-Cluster (6,000+ kmÂ²), including all of the sanctuary, is under consideration by the UNESCO World Heritage Committee for selection as a World Heritage Site. The Lower Sanctuary of Muthunga and Tholpetty Sanctuary constitute Wayanad Wildlife Sanctuary. The Sanctuary has elephant population of over 900. Plus other wildlife’s including spotted deer, bison, boar, and langurs among others.This forms a part of the Wayanad Wildlife Sanctuary and boasts of a large number of elephants.A guide is available at entrance. The forest department has arranged two hour jeep safaris into the park ( daily 7am-9am & 3-5pm). A guide is mandatory. Guided treks are also available( daily 8am -1pm) You can take your own vehicle inside the park up to 20 km and enjoy the surroundings as much as you want. The sanctuary is 13 km from Thirunelly.